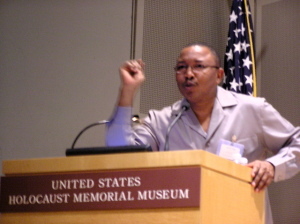 Omer Ismail was born in Darfur and began lobbying for peace in his homeland long before the mainstream media started reporting on Darfur. He is the co-founder of the Darfur Peace and Development Organization, which works to foster reconciliation, to facilitate just governance and to enable Darfurians to rebuild their homeland in effective, sustainable ways. 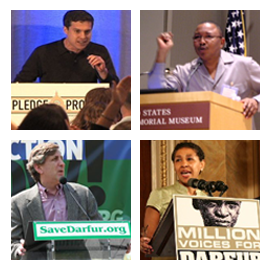 He is an adviser to the Enough project, and is also joining the board of the newly merged Genocide Intervention Network and Save Darfur Coalition.